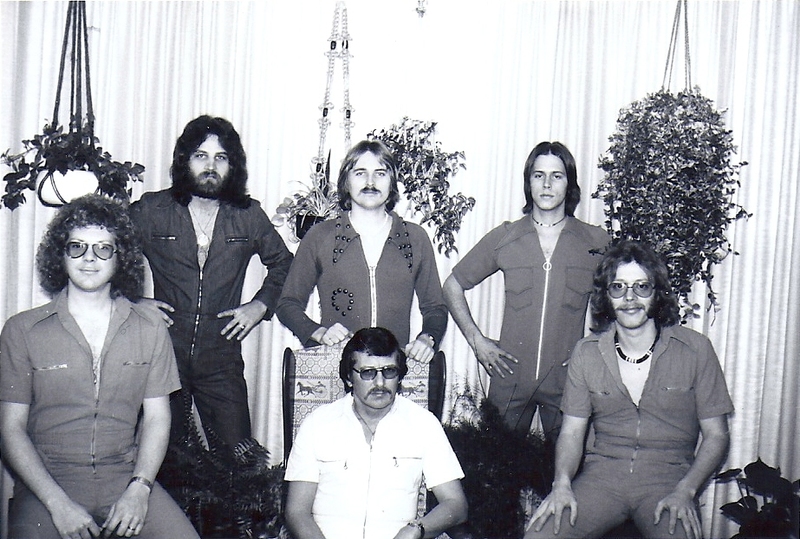 PowerPlay was formed in January 1977 with original members Rod Jerke (guitar, vocals and trombone), Scott Klaverkamp (drums and vocals), Mike Holm (bass and vocals), Mark Evensen (piano, trumpet and vocals), Ken Hoyne (trombone), and Billy Van (trumpet). The band played gigs in South Dakota, North Dakota and Iowa through March, when on April 4, 1977, PowerPlay started a long series of engagements at the Pomp Room in downtown Sioux Falls. They continued to play the four-state area as well as Milwaukee. PowerPlay was playing the Pomp Room in July 1977 when they were seen by an agent from Hollywood who was in town with one of his acts (the Royal Guardsmen). PowerPlay was asked to open a $2 million discotheque in San Diego in just three weeks -- July18, 1977. This gig led to the band being signed by the California agent and going on tour with Little Anthony and The Imperials. They played the Opera House in Cincinnati, the Newport Beach Hotel in Miami, and the Turn-of-the-Century Show Room in Denver. PowerPlay also played at The Grand Slam in Chicago and the Big Daddy's/Flanigan's chain in San Diego and Dallas, and the Showboat in Nashville. The next year Bruce Meyer, Gary Morris, Steve Barta and Mark Mazur all came through the keyboard position; Butch Zierath took over on bass; Jeff Bowen came in on trumpet; and Tim Obert became the drummer Notables gigs included Beckley, West Virginia, with Brownsville Station; Turn-of-the-Century in Denver with Del Shannon; and Miami Beach and Fort Lauderdale, Florida; Grand Rapids and Lansing, Michigan; and Milwaukee with Little Anthony. Many dates were played in Alabama, Indiana, California, Tennessee, Missouri and Illinois. Rod left the group in August 1978. A new version of PowerPlay started about 1999. Raine Jerke, Rod&#39;s oldest son, took over as lead singer for the new band. That mixture continues today.